Common factors that can trigger an acne breakout are hormonal changes, certain medicated drugs, heredity, a bad diet (2) or even stress (3). In the United States itself, the cost of treating acne is over three billion dollars per year. (4) While topical medicated ointments or oral antibiotics are expensive and may provide short-term relief, there are a number of safe and effective natural remedies which are long-lasting and help to clear up the skin of troublesome acne lesions. Banana peel is a surprisingly potent acne fighter – one of the simplest, cheapest and most effective methods of natural treatment. What Makes Banana Peel Effective in Treating Acne? Being an excellent skin exfoliator, it helps to remove the dead skin cells, debris, oil, dirt and other impurities which clog the pores. There are several methods of using banana peel to reduce acne. We have assembled the effective ones below with a detailed step-by-step process. All you have to do is choose one among them and try it regularly. Rinse your face with cool water and mild soap to remove impurities on the skin. Pat it dry with a soft cotton towel. Take a ripe banana (yellow or brown) and cut its peel into small pieces. Gently rub the inner white part of the peel onto the affected areas of your face. Continue doing so till the inside white part of the peel turns into a darker color (this is the dirt taken up by the peel). Next, use another piece of peel and repeat. Continue doing the same for 10-15 minutes at a stretch. Do not wash or rinse your face once done with the peel. Leave it overnight and wash your face the next morning. Repeat the same procedure daily before bedtime for two weeks. Note: Make sure you don’t rub too hard; this may inflame your skin and make the acne worse. Oatmeal is a great natural exfoliant for the skin. It also helps to absorb the excess oil and soothes the acne-afflicted skin. (13) Sugar is gritty in nature which helps to exfoliate the dead skin cells along with other impurities, unclogging the pores of the skin. Take 1 banana peel, 1/2 cup of oatmeal and 3 tablespoons of sugar. Use a blender to blend this mixture together uniformly till the resulting paste gets a smooth consistency. Gently massage it onto the affected areas of the skin. Rinse with lukewarm water and pat your skin dry with a soft cotton towel. Since this may dry out your skin, you could use a light, oil-free moisturizer after washing. Avoid if the skin doesn’t feel too dry. Turmeric contains curcumin, a powerful anti-inflammatory agent that does wonders in the treatment of acne, dark spots and pimples. (14) A scrub made of banana peel and turmeric is a simple yet effective way to combat acne. This process is helpful in treating cystic acne and back acne as well. Using a fork, mash a ripe banana peel to make a thick paste. Mix roughly equal amounts of turmeric powder and the mashed banana peel paste together. Add water drop by drop and stir continuously till the mixture turns into a fine paste. Gently massage onto the affected areas of the skin. Rinse with lukewarm water and pat skin dry. In case of excessive dryness after this application, use a small amount of oil-free moisturizer on your washed skin. Repeat the process once in 2 days to treat the acne quickly. Lemon is antibacterial in nature which helps to combat the p.acne bacteria. (15) The astringent properties of lemon shrink the pores and dries out acne lesions. Using a fork, mash a ripe banana peel into a thick paste. Squeeze out some fresh lemon juice into a glass. Mix approximately equal amounts of banana peel paste and lemon juice together in a bowl. Use a cotton swab or a cotton ball to apply the paste onto the affected areas of the skin, gently massaging it in. After 15 minutes, rinse with lukewarm water and pat dry. Follow the method regularly for effective results. In addition to removing excess oil collected in the pores of the skin, baking powder prevents scars and pigmentation. Mash a ripe banana peel into a thick paste using a fork. Take ½ tablespoon of baking powder along with 1 tablespoon of mashed banana peel paste and mix them together. Add water to the resulting mixture one drop at a time and stir continuously to convert it into a thin paste. Using a cotton ball, apply it on the affected areas in gentle circular motions. Do not keep on for more than 2 minutes at a time. Rinse with lukewarm water and pat your skin dry. In case of excessive dryness, apply some oil-free moisturizer. Note: Instead of baking powder, you can also use baking soda. Using a spoon or fork, smash fully ripe bananas peel into paste. Combine 1 tablespoon of mashed banana peel paste and 1/2 teaspoon of honey. Gently massage the mixture on the acne affected areas in circular motions. Leave on for about 15-20 minutes. If your skin feels too dry, apply a little oil-free moisturizer. Continue the method daily until you get relief. Raw milk works as a deep cleansing and exfoliating agent for the skin. It removes the excess oil accumulated in the pores of the skin and prevents it from drying out, resulting in skin that is neither too dry nor too oily. Pour a few drops of raw milk onto your palm and gently massage onto your skin in circular motions. Use a dry cotton swab to dab off the excess milk. Next, take small pieces of ripe banana peel and scrub gently onto the affected areas of the skin. Continue for 15-20 minutes, replacing the banana peel pieces once they turn into a darker color. Let the juices of banana peel rest for another 20 minutes to dry. If it feels very dry, apply a little oil-free moisturizer. Follow the process regularly until you achieve the results. Being rich in antibacterial, anti-inflammatory and antiseptic properties, apple cider vinegar helps to combat the acne, shrink open pores, reduce inflammation, and other symptoms of acne. Take a fresh banana peel and blend it into a smooth paste. Mix 1 tablespoon of water and ½ teaspoon of water. Now, combine 1 tablespoon each of banana peel paste and diluted ACV solution. Repeat the process once in a day until the pimple clears. Aloe vera contains natural anti-bacterial, anti-inflammatory and soothing properties which help to treat acne effectively. This combination works effective in treating cystic acne and back acne. Slit an aloe vera leaf into lengthwise and scoop out the gel. Into a blender, add banana peel and aloe vera gel in 1:1 ration. Blend for 2 minutes to make a paste. Apply the paste on the affected areas and let it stand for 30 minutes. Wash off the application with water and pat dry. Repeat the application twice in a day to get rid of acne. Avoid being harsh or too hard while rubbing the banana peel as it can increase the inflammation, irritation and aggravate the acne. Make sure to be gentle while doing it. It is better to use a cotton ball for application instead of bare hands. You need to strictly adhere to the time durations of application mentioned alongside each remedy. Leaving on the scrub/mixture for longer than advised may lead to adverse reactions on the skin. Organic bananas that are free of pesticides and harmful chemicals work best. The bananas taken into consideration should neither be unripe (green) nor extremely ripe (black). Moderately ripe bananas (yellow with brown spots) are ideal. An appreciable difference or reduction in acne can only occur by regular usage of banana peels over an extended period of time. In case there is no change even after 2-3 weeks, a visit to a dermatologist is strongly recommended. Eat a healthy, balanced diet and drink at least 2 liters of water daily. Avoid excess carbs, fat, sugar and greasy food in your diet. 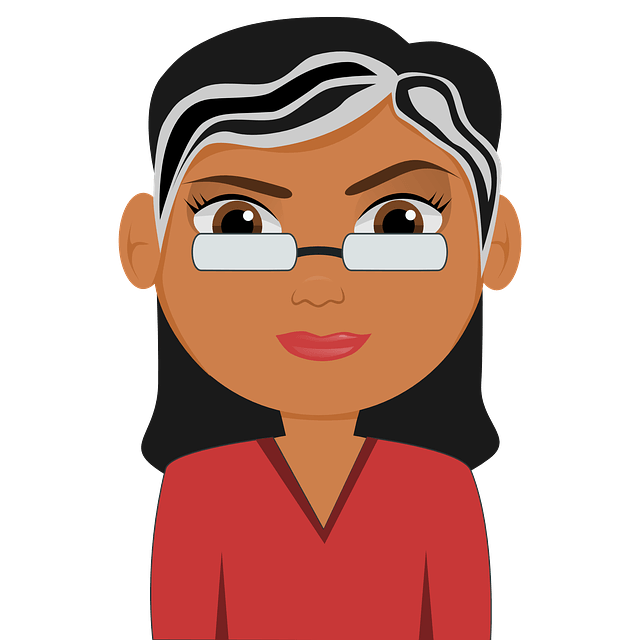 Was the information provided in the article helpful for you? Do you any other methods that provide relief from acne breakouts? Share your experiences and queries in the comment section below. We will reply as soon as possible. You can use any method mentioned above. 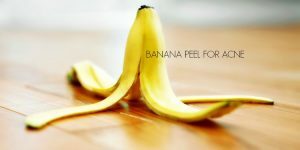 If you are not interested in using banana peel, you can also try other home remedies mentioned in this link – http://homeremediesforlife.com/pimples/. Apart from that you have to wash your face regularly, avoid oily foods, drink plenty of water and exercise regularly. how do you mash a banana peel? You can either blend it or use a mortar and pestle to mash it. Acne can be caused due to excess oil on the skin. Banana is a great exfoliator which helps to get rid of the same. Thus, it can be helpful if you got acne because of excess oil. Please tell me banana is the best treatment… Any side effects ? Yes, it is one of the best treatments for acne. There are no side effects. This is literally the most amazing thing ever! In the baking powder and banana one, does baking soda have better affects? Or is it just baking powder? Or can they be substituted for each other? Apart from removing the toxins and impurities, it fights off the bacteria causing acne. The anti-inflammatory properties reduce the swelling, redness and pain. It balances the pH levels making it vulnerable for bacteria to thrive. Don’t substitute baking soda with baking powder, as they are different ingredients. Is it safe to use banana peel from bananas which are ripened using chemicals? No, it is not safe. The chemicals may damage your skin. Can you make a batch of the banana / apple cider past and store the paste for continued use?